I love garlic planting time. You can really learn a lot about your soil when it is fall and the garden has spent a summer being tended (or not). This is the second burst of good intentions, the first one being the entire month of May when ideas run ecstatically through the garden plan . Garden cleanup is a confessional time in the gardening calendar. It is a time to look at mistakes, assess and swear to never make them again, renew your commitment to gardening, and prepare to let the passage of a long winter slowly rekindle your optimism for that spring burst. Or you can just learn to live with your shortcomings and realize that the garden is a very forgiving place, where perfection, motivation, and execution don't have to be the priorities. In other words, it's time to take the pressure off. There is so much of it in our lives, why not let the garden be a place where we accept and embrace imperfection. Garlic planting is a perfect way to mark the impending doom of winter and the shortening days. Tucking those fat cloves deep into the earth, I feel unbounded optimism, a deep sense of satisfaction that I am punctuating the calendar with an earthy tradition, full of meaning and metaphor. The garden is a great place to create your own traditions that are in step with changing seasons; it's a place of rituals that are private and intimate, between you and your dirt. When I plant garlic, I imagine winter as a time to prepare for spring, as a passage in the circular cycle. The thought of those cloves, tucked into their bed and nestled in straw, remind me that it is alright to take time to just rest and renew come those cold and bleak days. I always start by selecting a site for the garlic that will benefit both the garden, the garlic and future crops. Garlic brings a full 9 months of cultivation to the garden, much more than other vegetable plantings. 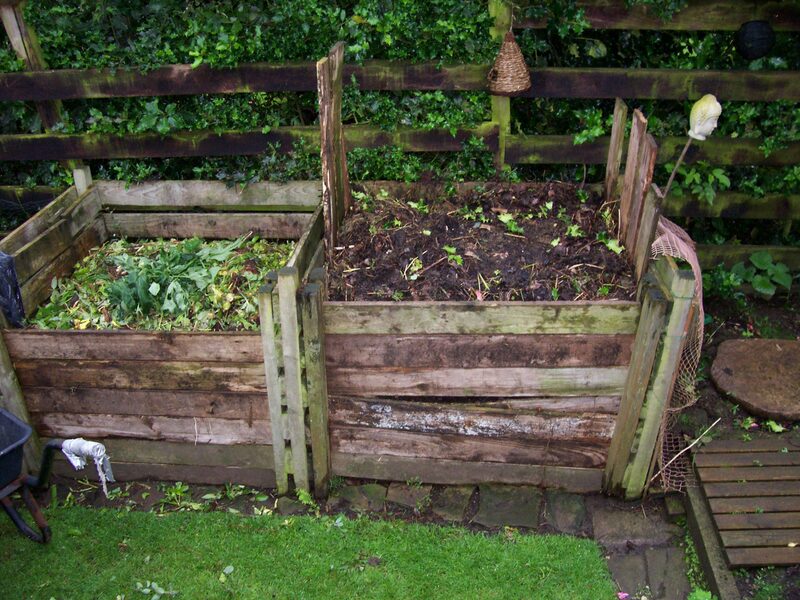 With it also comes a deep soil work up, a thick layer of composted manure, and another thick layer of straw. These are all great ways to treat your soil and whatever is planted in that spot, in your garden's future, will feel the love. As part of my garden rotation, I spend the winter imagining what will be planted where the garlic once stood, which crop will benefit from the extra organic matter and nutrients and care that the garlic received. Many people think that garlic is a healing food with all sorts of immune boosting properties....I think it does the same type of work in the garden. Once again, I am reminded of the way gardening is a microcosm of life and of the body, following the cycle not just of the seasons, but also, of growth and acceptance. Every year, around October, I join a local gym and start to do arduous things indoors. I don't love to exercise indoors, but it's a way to keep myself from going a little batty and it means I can't use our foul weather as an excuse. This year though, I am waiting a little longer to submit myself to the four walls and the machines and instead I am tilling my garden by hand. With a fork. You may be asking, what, pray tell has come over her? Well, two things....rototilling is bad for your soil and, yes, I like the workout. Those rototiller tines break up the titlth and structure of your soil, churning everything up too finely and forcing all of the organic matter to decompose too quickly, thereby not leaving the nutrients in the ground for next year's plants. 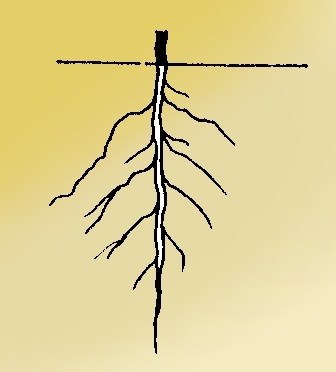 It also only works the top layer of the soil and leaves an untouched hard pan just a few inches below the surface--not ideal for root crops or any plant with a tap root. You can read about no-till agriculture here and here. It is the newish trend in organic farming systems that copy how things were done a long time ago, before big farm machinery, and has been proven to reduce carbon emissions by using fewer fossil fuels, and by storing carbon in plants rather than by losing it to the atmosphere when plant matter breaks down too quickly. All this sounds like a great reason to park the rototiller permanently, but the truth is, I do it for other reasons as well. I don't own a rottotiller; I don't like having to ask someone to do it, and I like the messy workout. Here's how I did it this year. Back in the spring, I invested in about 20 bales of straw. My garden is broken up into an odd assortment of rectangles connected with meandering paths. It is a place that encourages inefficient wandering and discourages straight ahead speed. I love my garden for these qualities that make it an antithesis to the hassle and bustle of most days. And it's another reason a machine just doesn't work for me: I don't want one big rectangle with a bunch of straight rows. Rather, I like my garden to have a series of mini gardens with their own mini rows and blocks. It makes for a beautiful patchwork quilt of vegetables. So when I started to plant everything back in April and May, I covered up the paths and all the bare soil around the plants with lots of straw. This did a great job of keeping down weeds and limiting the amount of water the plants needed. I added more straw and pulled a weed here and there, but for the most part, found that the initial investment more than paid for itself in time spent swimming. Now that the plants are done, I am going through and cutting down dead stalks, composting them in a corner along with some of Rosie and Pokey's donkey manure. For crops that can be planted in fairly coarse soil, I will just leave the straw in place and come next spring, I will push the straw away, add a big scoop of compost, incorporate compost and soil, dig a little hoel, and plant right into that. I will add more straw too since so much of it will break down over the winter. For prepping areas where I am going to be seeding first thing in the spring, I'll need a finer bed preparation which will be done in two phases. Fall phase, now, is to push away the straw, churn up the soil with a four pronged pitchfork, smash it up a little, rake it smooth, and place the straw back on top. This keeps the soil in place and does not allow erosion to do its thing. Come April, I will push the straw back yet again, hoe and rake the bed to make the top layer of soil fine and not too chunky, and plant some seeds in little furrows. The straw just waits in piles along the edge of the rectangle and gets spread out again once the seeded plants are about 6" to 8" high. This requires a little weeding around the plants in between straw replacement times, but it's not too much. This sounds like a lot of work, but it saves time come spring to prep as much of the garden as possible now. I really like the benefit of seeing the soil texture improve year to year and each little rectangle of my garden seems to have its own characteristics. It all feels very wholistic, a little messy, and not at all perfect. I don't feel bad when some weeds get through the system because I will just pull them out or chop them down and layer them into the accumulated straw. It's about your mulch being part of your fertility plan and it is about gadening without guilt. The gym can wait another month while I play in the dirt a little longer.